Do you want to get faster at your current fitness? Do you desire morning pre-race advice for transitions and mental strategy? Do you want to effectively analyze your race results and performance? Are you looking to find that mental comfort zone to prepare you to race? Luc Morin, professional triathlete and “trainer of coaches” (ITU and USAT Level I-III Coaching Certification Course Consultant, ITU Technical Advisor), will help you develop the foundation on how to solve each of these questions. 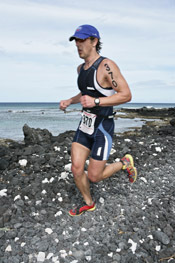 Our goal is to make you a smarter, more efficient, faster triathlete at your current fitness level. We are a technical development clinic – that is, technique is the limiting factor of athletic performance. 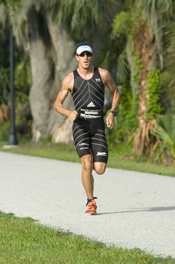 Fitness training is unique to each individual, but proper approach, form and technique are critical to all triathletes. At your current fitness, you can actually go faster by implementing technique factors…such as running posture, pedal stroke and swim form. One-on-one coaching and group training both help develop your racing approach – we limit each clinic to 6-8 athletes. 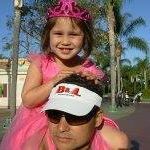 Lead by Luc Morin, we will focus on your individual techniques using a 25yd pool at the Agua Caliente Aquatic Center, ComputrainerTM, outdoor cycling and runs for our assessments. We will teach and practice in the beautiful Sonoma Wine Country, in a relaxed environment, yet focus on our triathlon discipline. For 2 days we will have classroom discussions, swim, bike, and run workouts. On the 3rd day, we will race as a team in a Sprint Triathlon where you will apply your acquired knowledge. We will oversee your mental preparation, transition set up, warm up, and we will finally race with you! 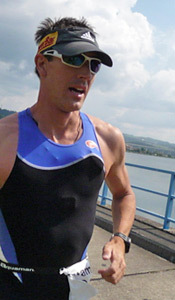 You will have a professional triathlete on race-day as your personal race coach.